The announcement followed a sternly-worded call from the powerful army chief for Bouteflika, 82 and ailing, to “immediately” take up his proposal to bow out while respecting the constitution. There was no immediate word on who would take over from Bouteflika. Under the constitution, the president of the upper house, the Council of Nations, steps in as interim leader for a maximum of 90 days so that elections can be organized. The official APS news agency said in a full-page headline that Bouteflika had notified the Constitutional Council of his decision to end his mandate. It came a day after an announcement that he would leave by April 28, the official end of his fourth mandate — but after “important” changes were made, giving rise to fears that his entourage would do all to preserve the interests of those who profited from his time in office. There was also no word about the presidential entourage, including younger brother Said Bouteflika, a top counselor blamed by protesters for widespread corruption in the North African country with a high unemployment rate and drastic gap between the rich and poor. Army chief Gen. Ahmed Gaid Salah had earlier in the day convened a meeting of the top military hierarchy, making clear the call for Bouteflika to desist had the backing of the military, among the most important on the African continent. The Defense Ministry statement Tuesday appeared to be a final warning. Bouteflika came to the presidency after its darkest period, the 1990s Islamic insurgency. 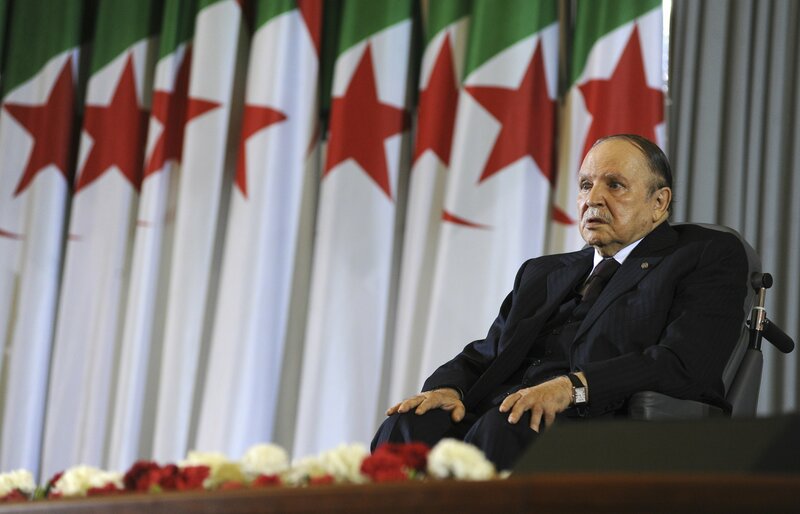 After taking power in 1999, Bouteflika managed to bring back stability to a country devastated by killings and distrust.